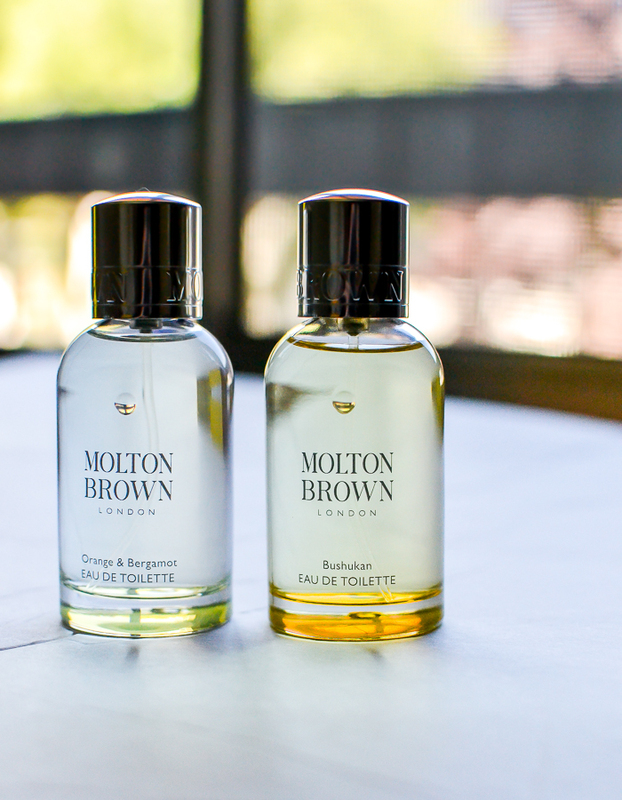 Nothing screams summer like cheery yellow packaging and bright citrus notes, and if that's your idea of the perfect summer fragrance, then Molton Brown has just the one..or two for you. The woodsy, spicy, citrusy mix of notes in the Molton Brown Bushukan Eau de Toilette makes for a light and refreshing scent for the summers. 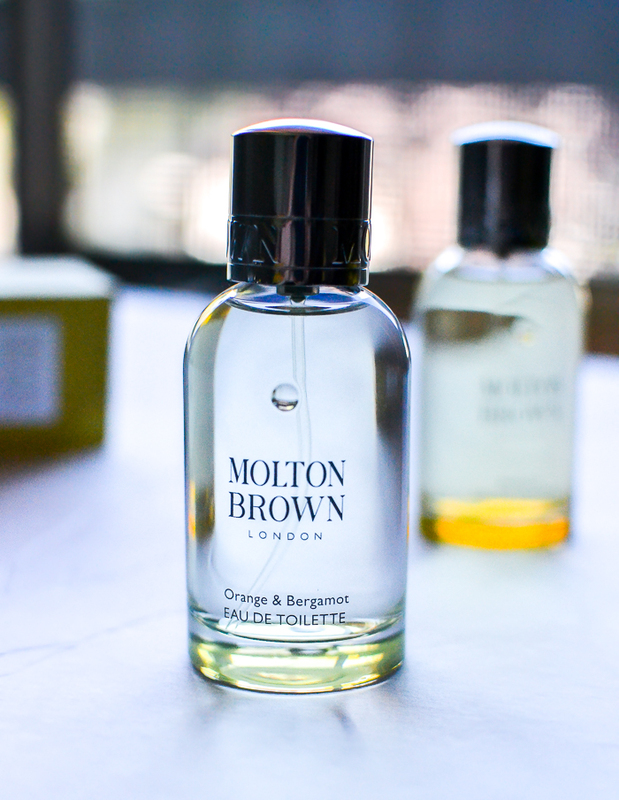 Molton Brown Orange and Bergamot EDT combines bergamot, Seville oranges, and mandarin for a spicy, citrusy blast that will wake up even the dullest summer morning. Scroll on for more photos and my thoughts on these two fragrances. 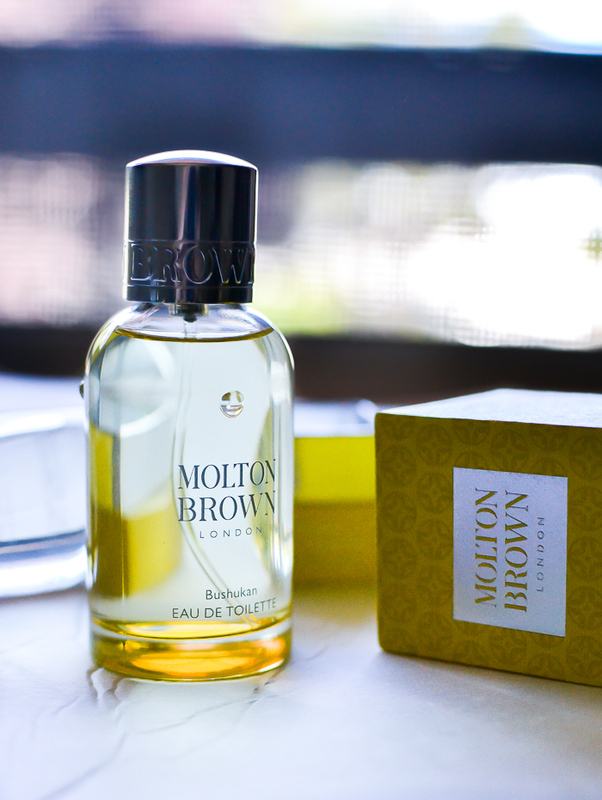 Molton Brown Bushukan Eau de Toilette mixes spicy citrusy notes from lemon and bergamot with a light, clean freshness from thyme, basil, and cedarwood. The fragrance rounds up with a warm softness from the sweet and woody base notes. It's a warm, citrusy fragrance with a hint of the woody notes but light and fresh enough for summers. I generously passed it on to my husband, on whom it smells amazing, but I can see myself borrowing this quite often this summer. Molton Brown Orange & Bergamot Eau de Toilette is a blast of citrus and a perfect pick for those who love a fragrance with a fresh zesty tone. The notes are predominantly citrus, with orange oil, lemon, bergamot, petitgrain, and mandarin forming the majority of the notes. There is a hint of warmth and sweetness from the base notes of neroli, ylang-ylang and musk. I love bitter orange scents, so for me this should have been love at first spritz. Unfortunately though, on me, as the citrusy notes settle down, and a bitter metallic note gets prominent, and this is what lasts on me through the day. Turns out, for all my professed love for bitter notes, I need some candied sweetness to my fragrances! Much as I love Molton Brown fragrances, this one didn't work for me. If you love citrusy fragrances, especially those with bitter notes to them, do give the Molton Brown Orange & Bergamot and Bushuka EDTs a try.